Repton Dubai is a prominent international school in the heart of Dubai, which has recently celebrated its tenth birthday. 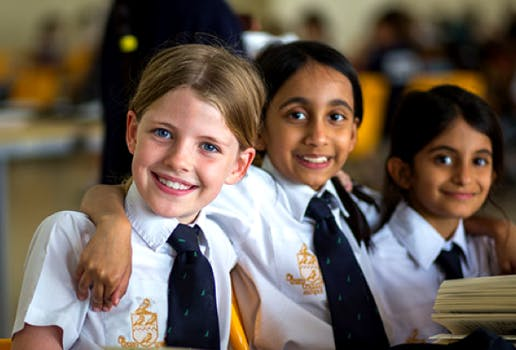 One of the few genuinely international schools in the Gulf Region, Repton Dubai combines the reputation and academic rigour of the UK curriculum, from infants and junior school up to IGCSE level in Year 11, and then embraces the challenges and opportunities of the International Diploma or IB in the Sixth Form. Set in a stunning campus in Nad Al Sheba, and almost uniquely in Dubai, also offering a dynamic boarding experience, Repton pupils from ages 3-18 benefit from facilities, resources and a classroom and sporting experience, that is the envy of their peers. Our mission is to promote excellence in every area of a child's and student's life at school, within and outside the classroom. Alongside the pursuit of academic excellence, Repton Dubai is proud of the outstanding pastoral care provided for all students and proud too of the traditions and core values that underpin all that goes on at the school. Combining the culture, energy and dynamism of the UAE, with the rich heritage and traditions derived from our close partnership with Repton School in the UK, standards and traditions that have stood the test of time, we are determined to remain a world class school and a beacon of excellence where people matter, and the whole Repton community, pupils, staff and parents, work together to develop young people who are confident yet compassionate, courageous and curious.